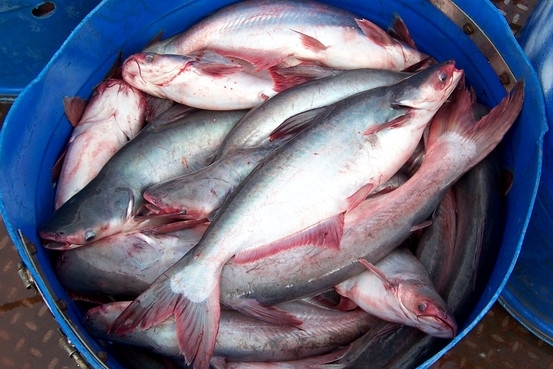 Russia started importing tra and basa fish from Vietnam in 2009, and the amounts have gradually grown. Duong Ngoc Minh, a ministry official said that Russia could become one of Vietnam's top ten markets for seafood exports, and that they offer higher prices than the the European markets. In the future it is expected that the exports to Russia from Vietman will grow, at the present time 10 exporters are doing business with Russia, and quality and volume are being monitored. Luong Le Phuong the Minister of Agriculture and Rural Development, asked the Vietnamese businesses to pay more attention to fish quality and cut the use of 'ice' and preservative substances from 30 per cent to 15 per cent, and that fish must be collected from semi processing establishments that meet food hygiene standards and have proper freezing storage.